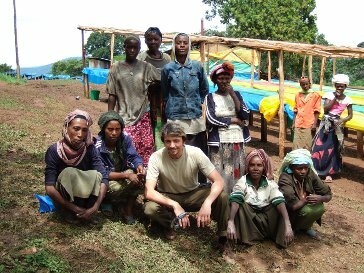 This Ethiopian Sidamo coffee lovers of full-bodied, fruity roasts their money. He has only a slight acidity and notes of lemon and herbs with a slightly nutty aftertaste own. 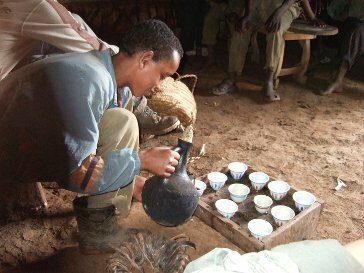 Ethiopia or Abyssinia rather is known as the country of origin of Coffea Arabica. In 860 a goatherd named Kaldi has made a strange discovery. His goats often ate red berries and after their consumption, they were excited and alive. The caffeine was discovered! The coffee was born and went over to Yemen's win over audiences all over the world. Visit us. In our shop in Bad Lauterberg and convince you on site by the quality of our coffee Here you can find out of coffee beans and other products, such as muscovado, a cane specifically for espresso or roasted cocoa beans. 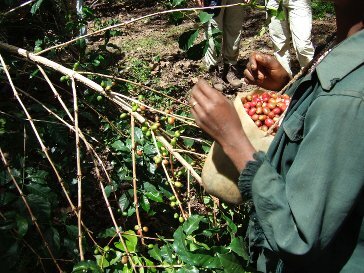 Our Ethiopia Sidamo You can also get at Confiserie Weibler in Cremlingen / Braunschweig. D. JoachimPosted on 20 March 2019 at 14:58 Qualität hervorragend. Jedem zu empfehlen, der Kaffeegenießer ist. N. HeidrunPosted on 13 December 2018 at 14:11 Das ist unser Lieblingskaffee: milde Säure, runder Geschmack und jeder, der Neumünster Kaffee trinkt, fragt, was das für ein guter Kaffee ist. Ist von daher schon oft als Geschenk weitergewandert! R. AngelikaPosted on 7 February 2018 at 12:17 Beste Qualität! W. BurkhardPosted on 10 March 2017 at 15:02 Wenig Säure, TOP im Automaten..